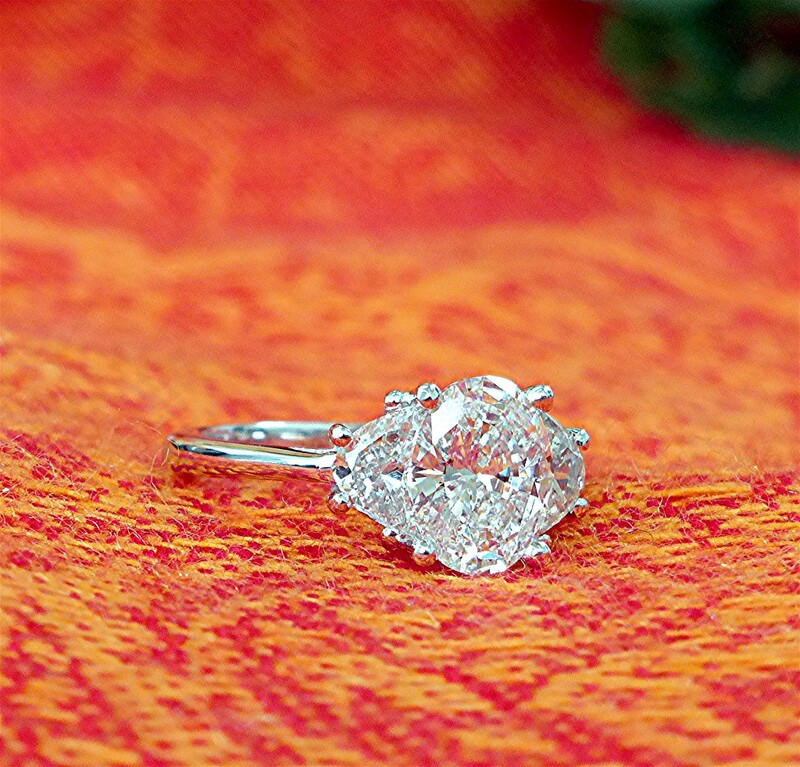 Center is 8.2×6.3×3.6mm oval diamond with two half-moon shape diamond on the sides mounted in 14k white gold. 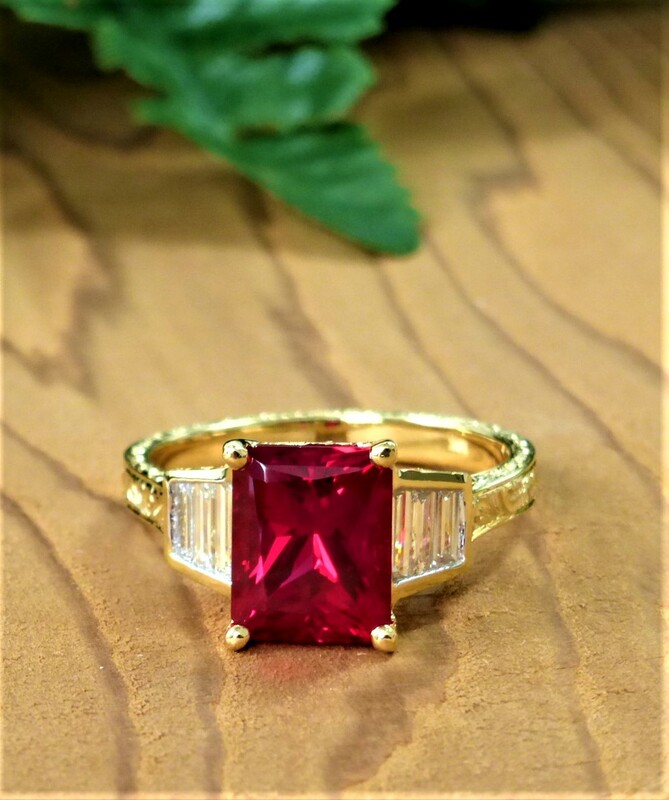 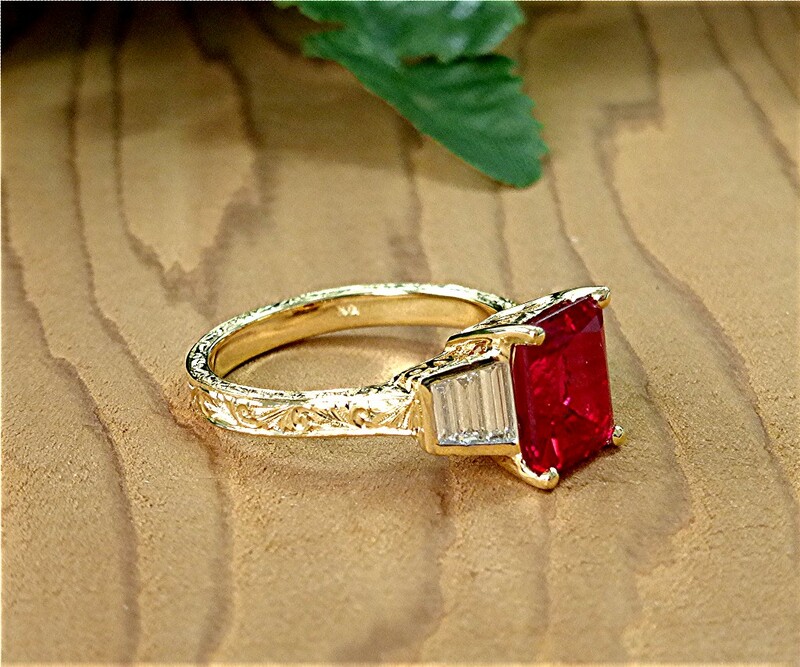 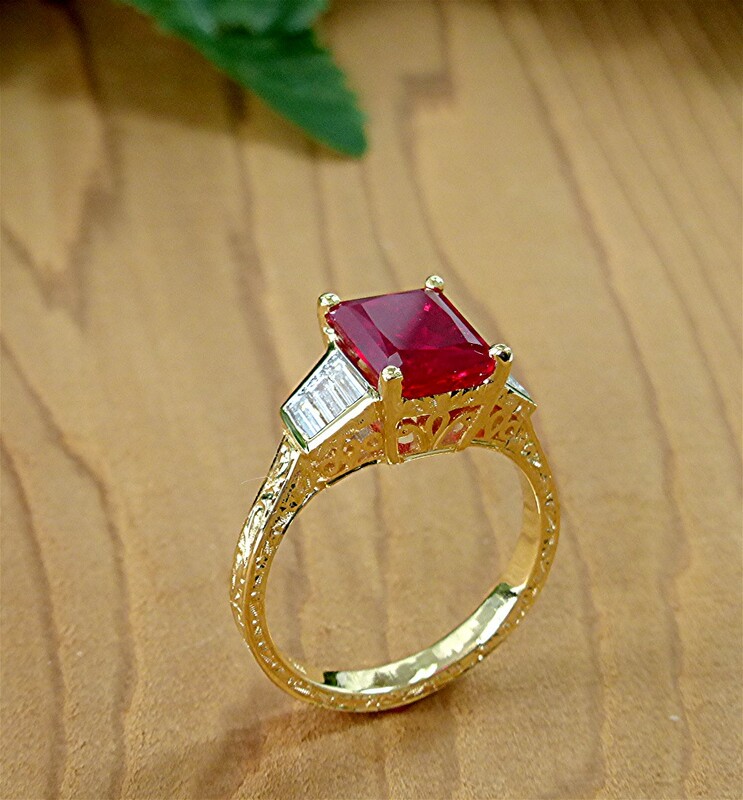 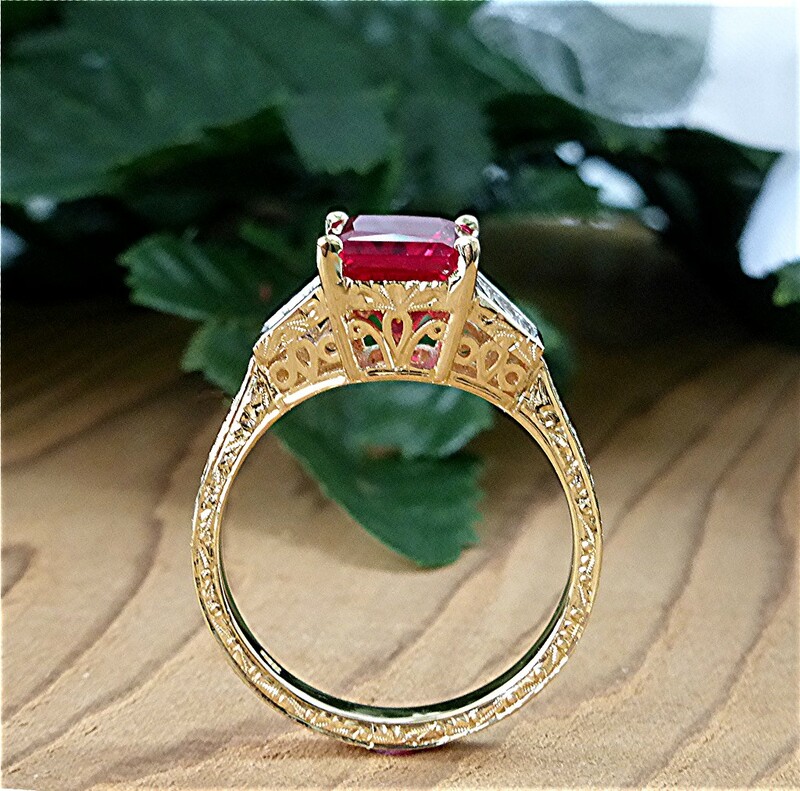 Center stone is 10x8mm emerald cut chatham ruby set in four prong 18k yellow gold mounting with filigree under galley. Six special cut G, VS diamonds for total of 0.59ct. 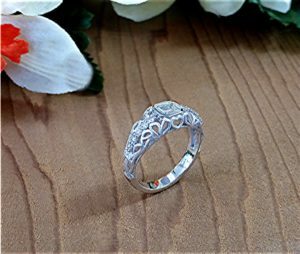 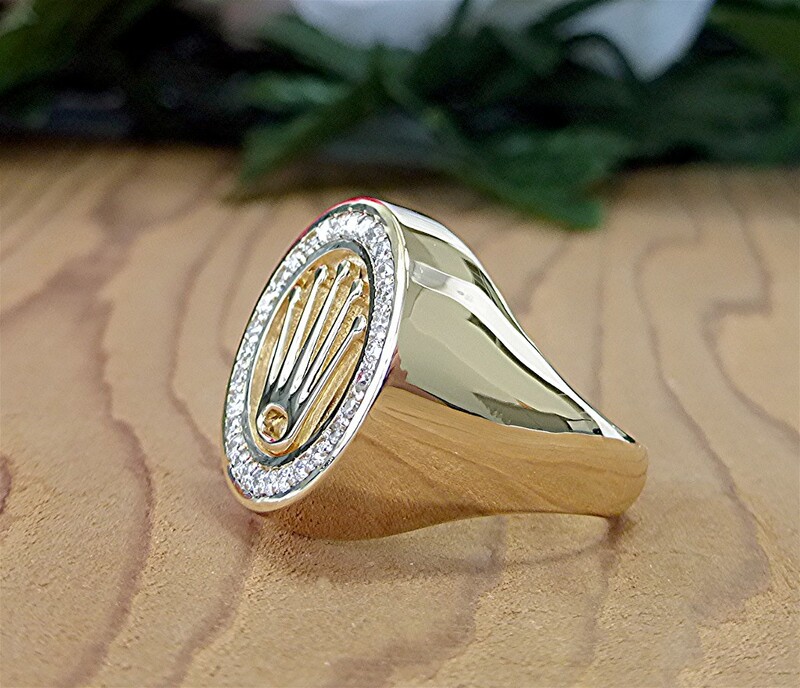 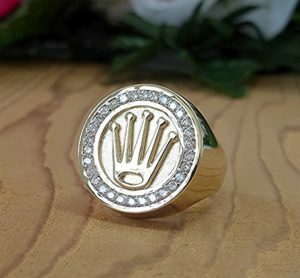 are channel set on shoulders of the ring. 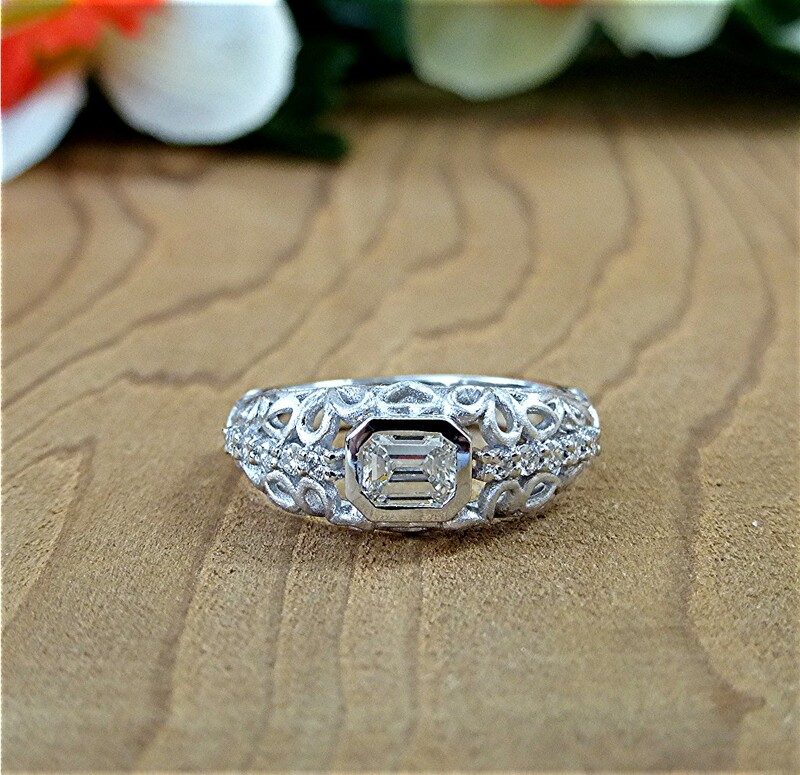 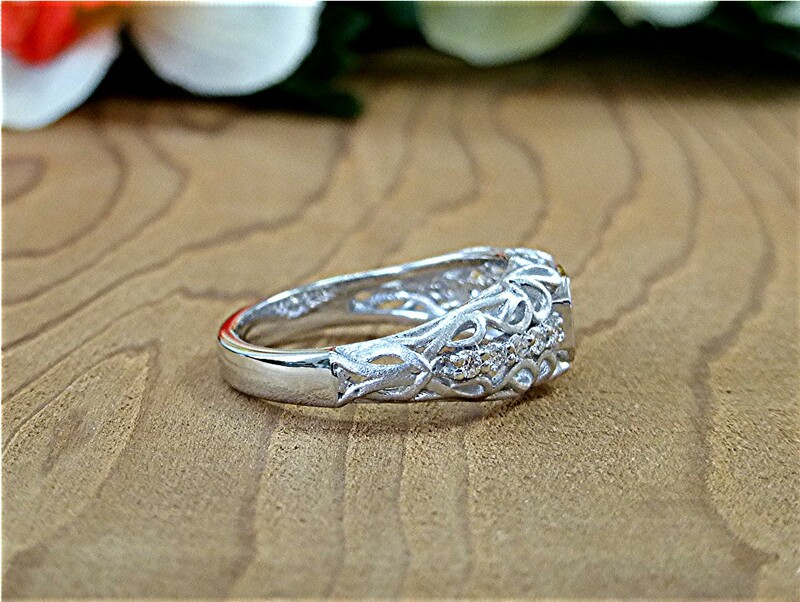 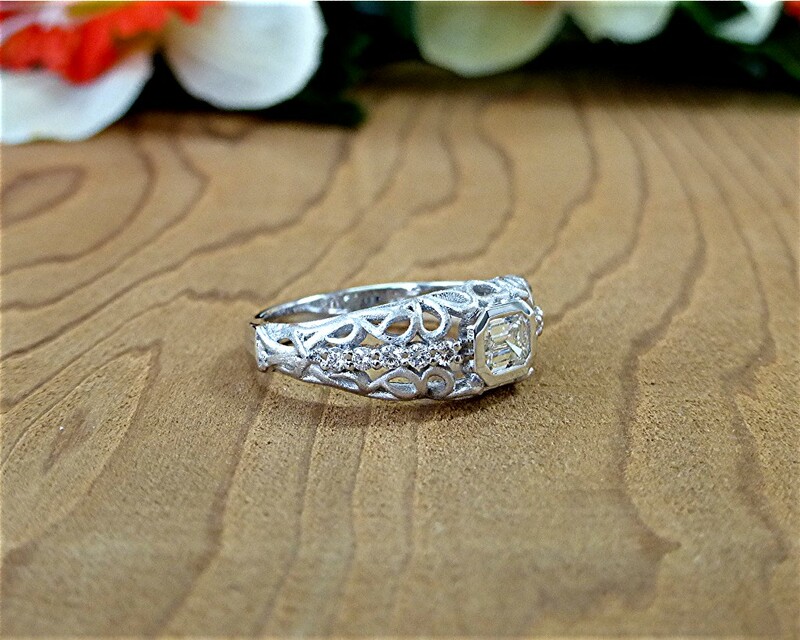 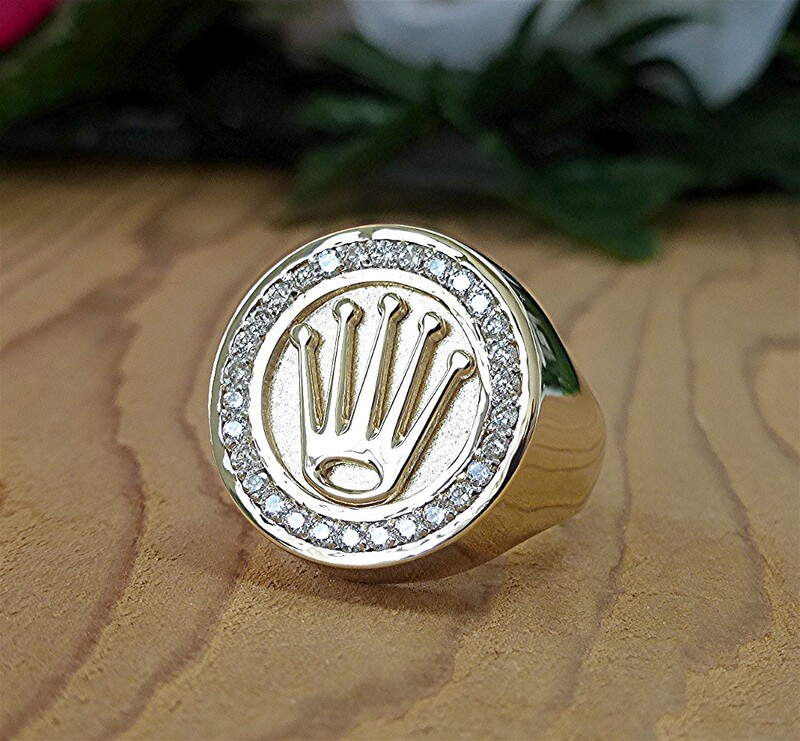 All three sides of the ring are hand engraved with scroll designs. 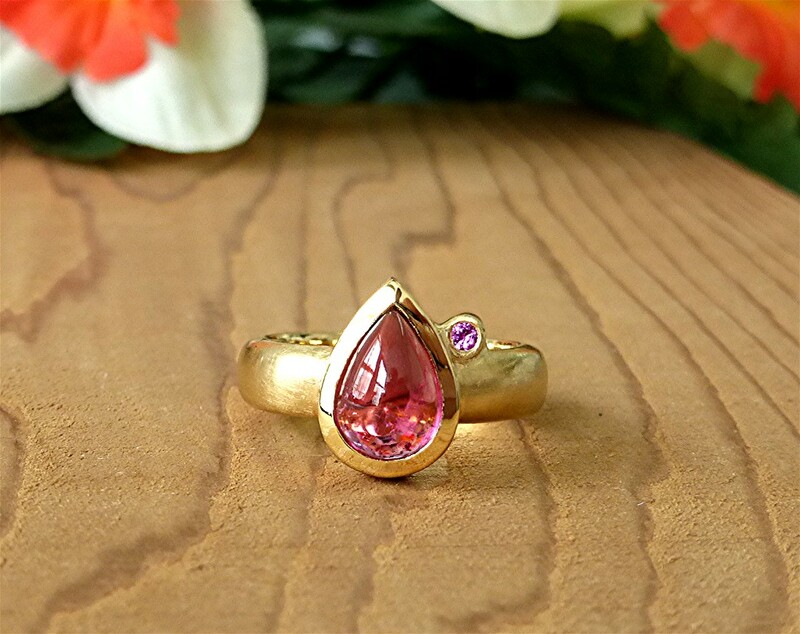 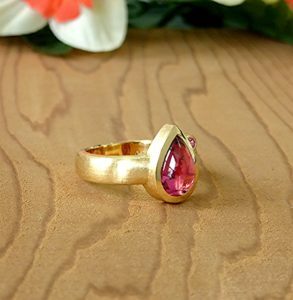 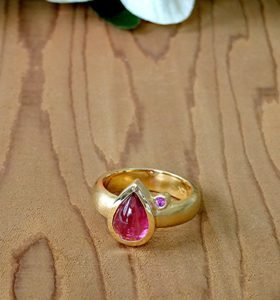 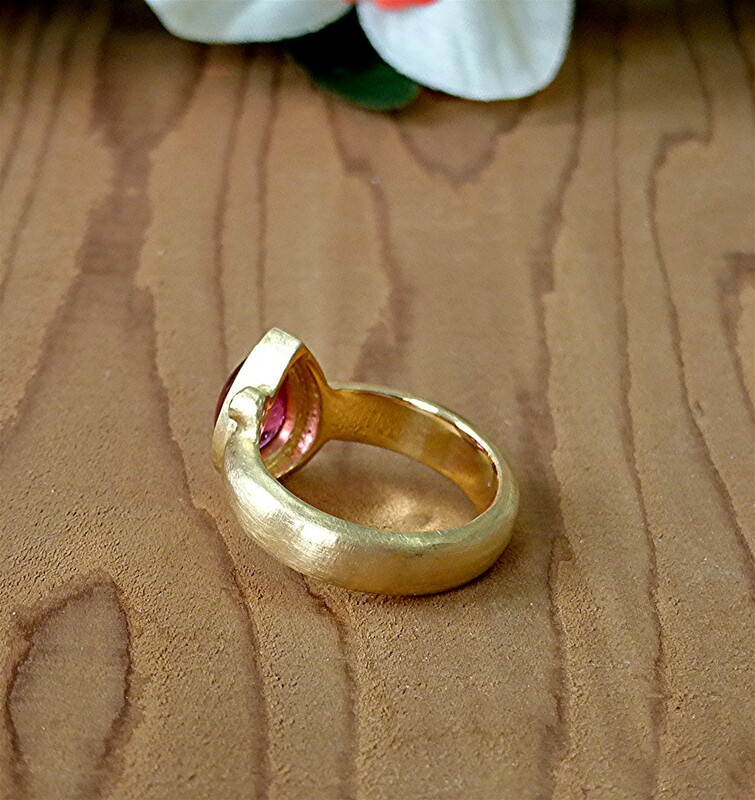 Center is 10×7 mm cabochon pink tourmaline weighing 1.98 carat accented with 2 mm pink sapphire mounted in 22k yellow gold with brushed finishing. 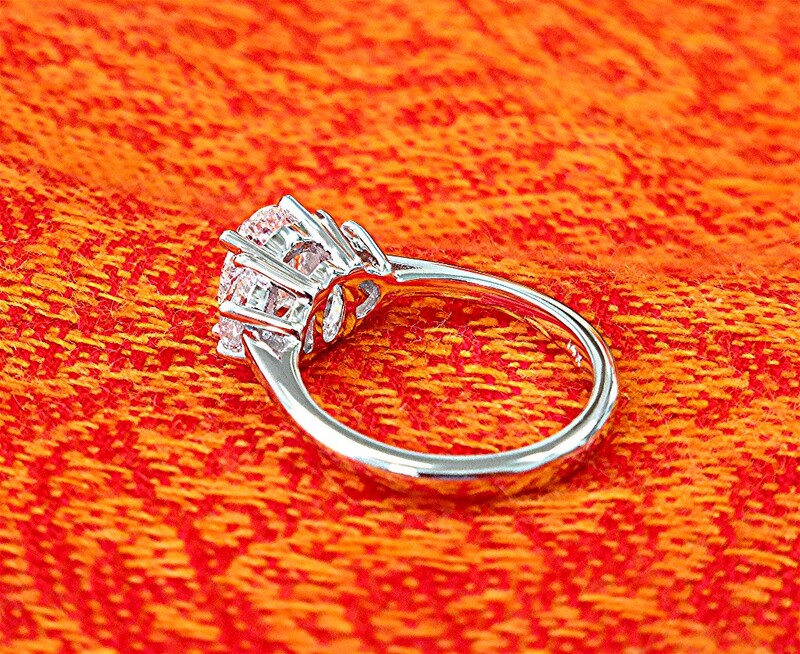 A 19mm wide ring with halo of 30 bead set diamonds totaling 0.47ct. 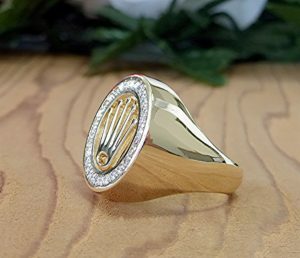 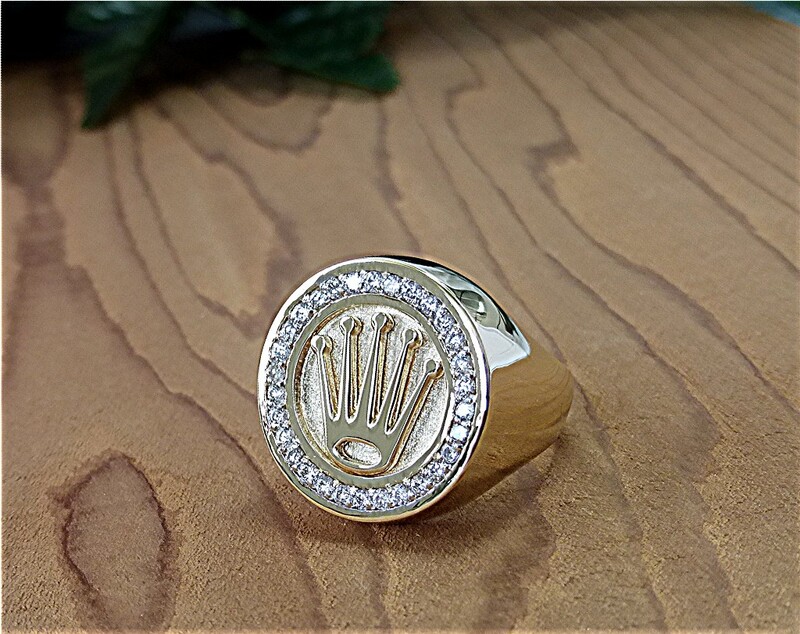 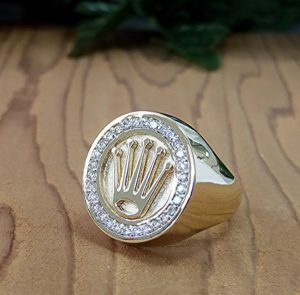 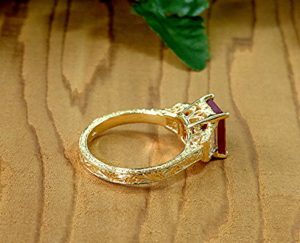 It is made in 14k yellow gold. 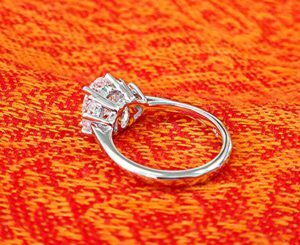 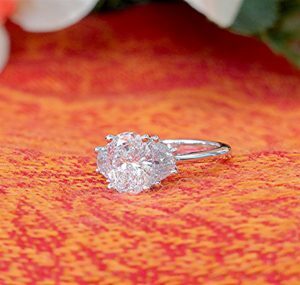 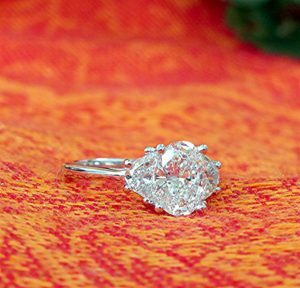 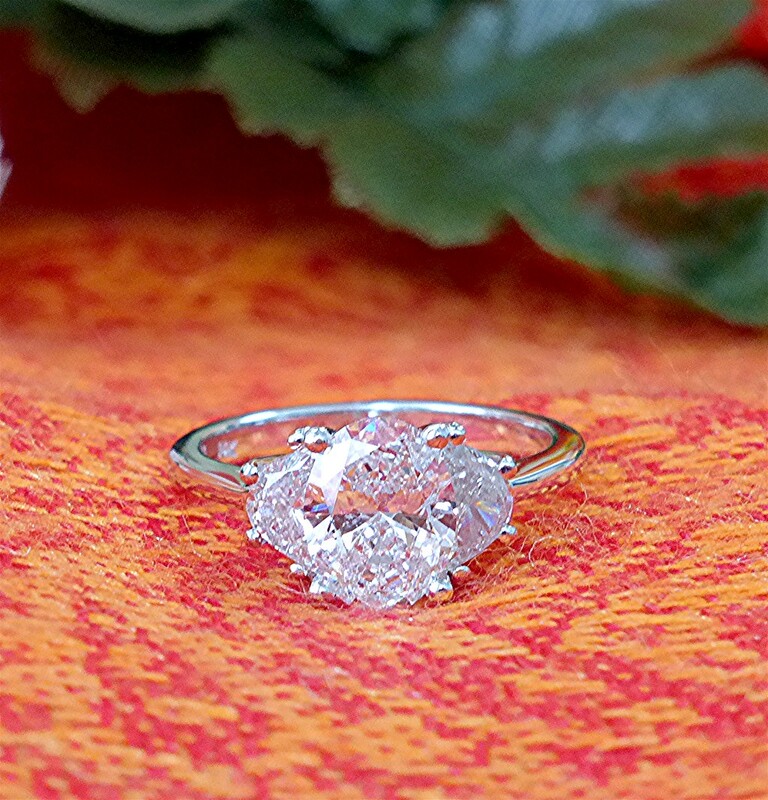 Center stone is 0.40ct. Emerald cut H, VS diamond, bezel set with ten RBC 0.16ct prong set diamonds on the shoulder, filigree designed 14k white gold mounting.